Spirit of Bermuda left St. George’s early Sunday morning [May 20] heading to Philadelphia to participate in the city’s US Memorial Day Festival from May 25 – 28th. This is Spirit’s first visit to Philly with an anticipated 4-day passage to the Delaware Bay then up the Delaware River to Penn’s Landing. Once there she will be open to the public for four days, along with a fleet of tall ships including the “square riggers” Sagres [Portugal] and Oliver Hasard Perry [USA]. 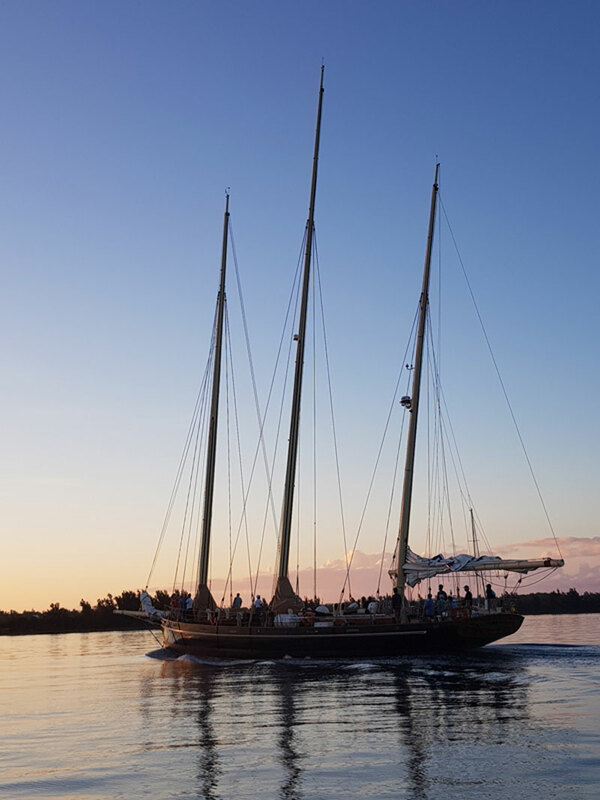 Spirit returns to Bermuda on June 3rd carrying with her the new 16′ bowsprit and rigging to replace the one damaged in a collision in the fall of 2017. Although the voyage mission is to represent and fly the Bermuda flag, the ocean experience is also a training opportunity for a few selected apprentices who are interested in the role of watch leader for the 2018-19 middle school voyage programme. The Bermuda Sloop Foundation said they are pleased to announce that all three of the existing watch leaders are moving on to tertiary education and training overseas come the fall. Bermudians in the Philadelphia area are encouraged to visit Spirit of Bermuda during her stay there. For more information, contact Branwen Smith-King, at 737-5667 or executive.director@bermudasloop.org.